Morning! 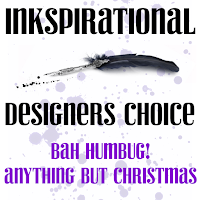 I'm thrilled to be guest designing at Inkspirational today, where the theme is Bah Humbug! (anything but Christmas). I inked the image in Versafine Onyx Black, sloshed some Distress Inks over it, matted it onto a black panel then added the sentiment. 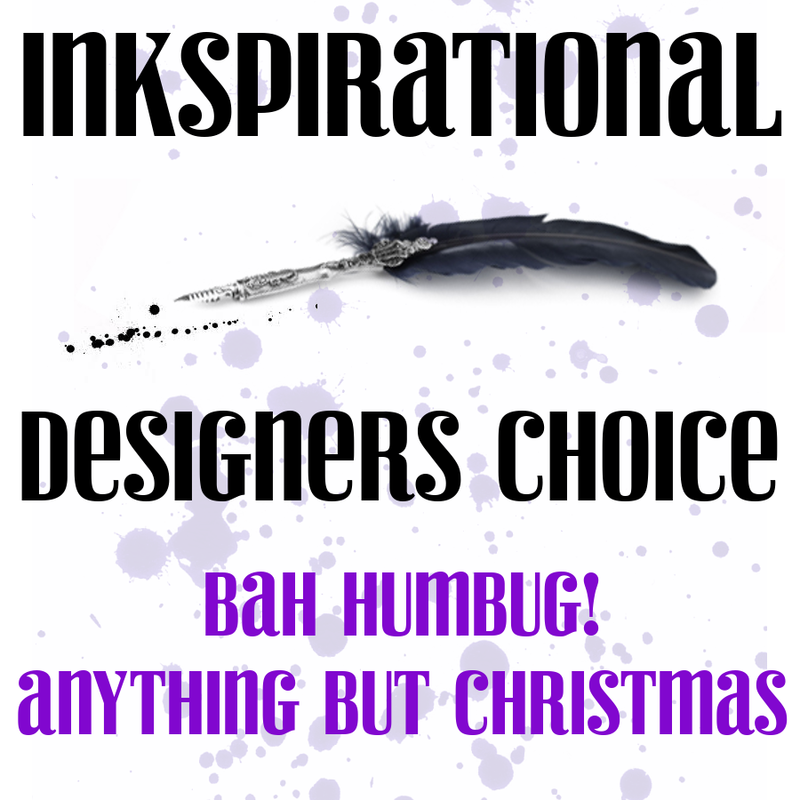 Pop on over to the Inkspirational blog to see what the Design Team have created for the Bah Humbug! 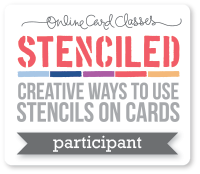 theme, get out your non-Christmas supplies and join in. Thanks for having me, girls! 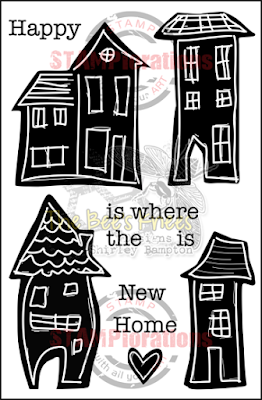 I think I mentioned I have this stamp and it certainly is an oldie but goodie. And yet, you have given it such a fresh and contemporary style! Your ink 'sloshing' looks beautifully free-style, and yet the colours etc are so well thought-out that they don't overwhelm the fine lines of the image at all. I love how you mixed the 'fonts' on the sentiment. Wonderful! 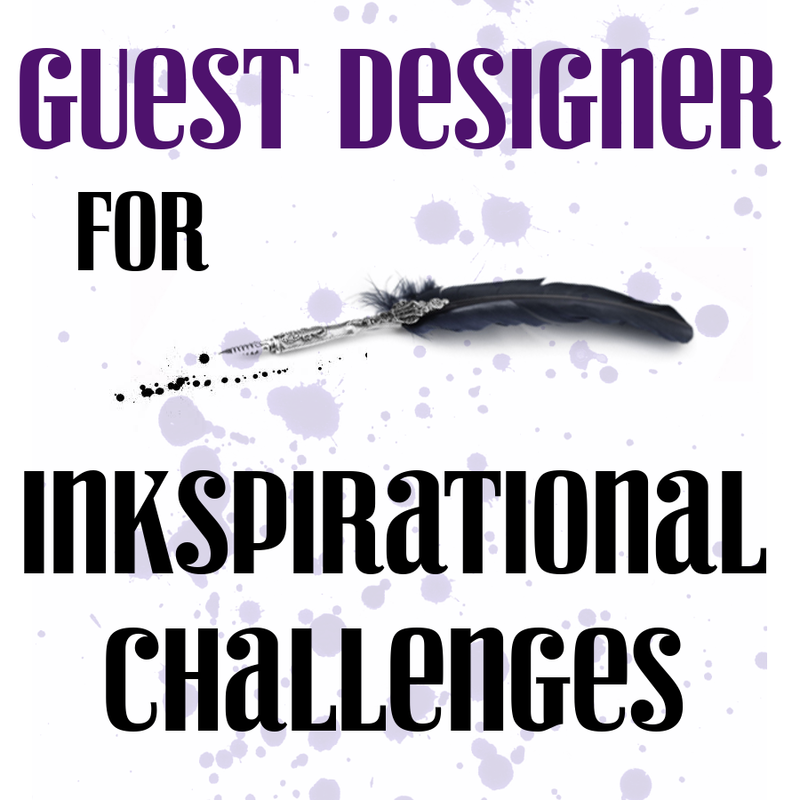 Thanks so much for being a fantastic Guest Designer at Inkspirational. 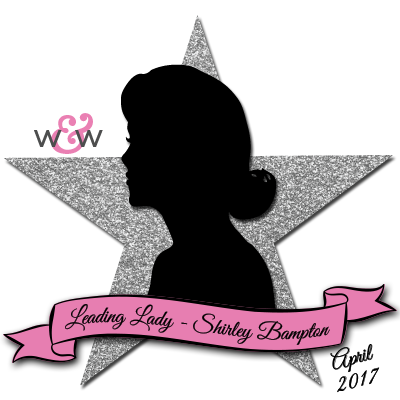 Shirley, this card is perfection! The colours, the image, the Happy. LOVE it! Wish I had this collectable; it's beyond charming! 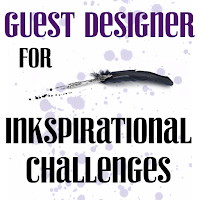 Thank you so much for being our guest designer at Ink...your creativity is most definitely "Inkspirational"! 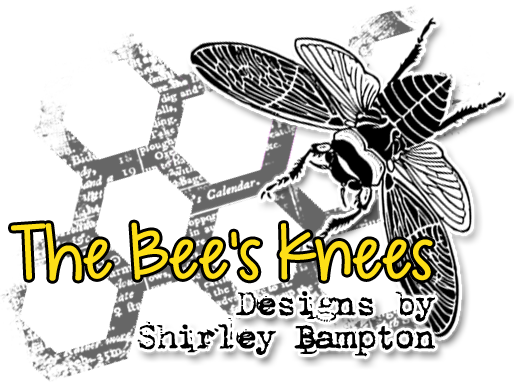 Fantastic card, Shirley! Sorry it has taken me so long to stop by! 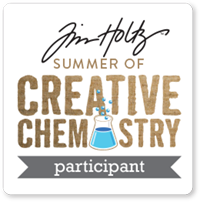 It's that crazy time of year, ya know! :-). So glad you could GD for us over at Ink this challenge. Merry Christmas! What a great card! 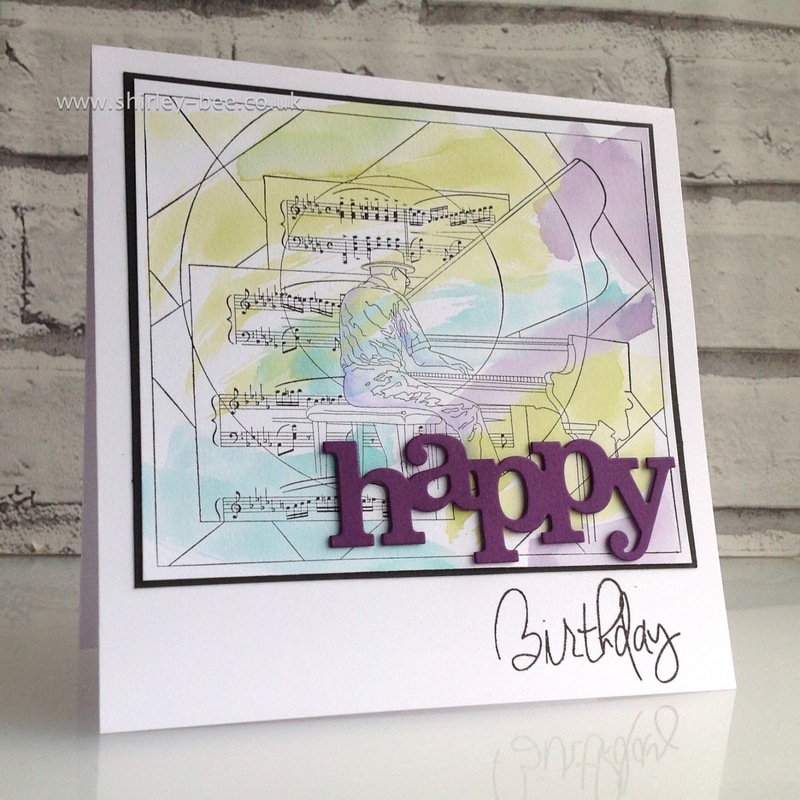 A fun image with a creative use of color. I also like the split sentiment. 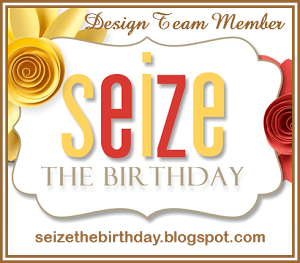 It is so great having you design with us this week! Congratulations on the guest spot! What a cool design! Congrats on your GD spot. And all the best for 2016!